Last week, a federal judge held that a jury could reasonably find that O’Reilly Auto violated the rights of a Maine Employee Rights Group (MERG) client when it (a) refused to provide him with a reasonable accommodation for his disabilities, (b) discriminated against him because of his disabilities, and (c) retaliated against him for requesting a reasonable accommodation for his disabilities. Because a jury could reasonably find in favor of MERG’s client, the case will now go to trial and a jury will determine whether O’Reilly Auto violated our client’s rights under the federal Americans with Disabilities Act (ADA) and the Maine Human Rights Act (MHRA). In 2015, MERG’s client was the store manager at O’Reilly Auto’s Belfast, Maine store. MERG’s client lives with the disabling conditions of Attention Deficit Hyperactivity Disorder (ADHD), Tourette Syndrome, and Major Depressive Disorder. In late May and early June, 2015, MERG’s client worked abnormally long hours because he had to fill in for two employees who had been terminated. After a couple weeks of working this abnormally long schedule, MERG’s client began to experience dizziness, severe headaches, increased frequency of his pre-existing tics, and fatigue. On June 4, 2015, MERG’s client had a “meltdown” due to his disabilities during which he experienced a number of new symptoms, including difficulty concentrating. MERG’s client went to his health care provider because of this meltdown. She gave him a note which said that he “should not be scheduled for more than 9 hours 5 days a week” because of his mental health issues and he asked O’Reilly Auto to comply with these restrictions. In response to concerns raised by O’Reilly Auto about this request, MERG’s client made clear to O’Reilly Auto that even though his health care provider did not want it to schedule him for more than 9 hours per day 5 days per week she agreed that he could work unscheduled hours, on top of his normally scheduled hours, if necessary. O’Reilly Auto denied our client’s scheduling request because it claimed that he could not perform the essential functions of a store manager with these scheduling requirements. The judge analyzed the essential functions of the store manager position and determined that a jury could reasonably find that MERG’s client could perform the essential functions of the store manager position within the scheduling restrictions that his health care provider set. Indeed, the evidence showed that MERG’s client was usually scheduled for 46 hours per week (just one more hour per week than his health care provider wanted him to be scheduled) and he rarely had to work beyond his scheduled hours. As such, a reasonable jury could determine that O’Reilly Auto violated MERG’s client’s right to a reasonable accommodation for his disabilities when it refused to accommodate him with the schedule that he requested. Our client’s employment ended after O’Reilly Auto refused to provide him with the scheduling accommodation he requested. The judge held that a reasonable jury could determine that O’Reilly Auto terminated his employment because of his disabilities and/or because he requested a reasonable accommodation for his disabilities. It is in everyone’s interest for people with disabilities to be able to work. 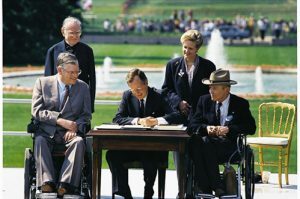 If employers do not comply with their obligations to provide reasonable accommodations to employees with disabilities, many disabled people who want to work will not have jobs. 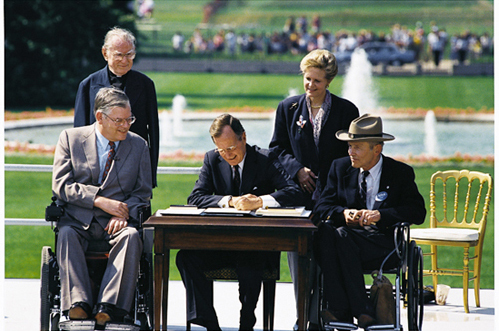 It is clearly better for individuals with disabilities who can work to be employed than for them to require financial assistance because they are unemployed. Many people support this concept not just because they understand that it makes sound economic sense but also because they know that anyone can become disabled at any time. Anyone could be the victim of a tragic car accident, disabling disease, or other circumstances that cause a disability and, in this sense, it is in everyone’s interest that employers be required to comply with the ADA.